This entry was posted on Friday, May 29th, 2015 at 9:24 am and is filed under Photography. You can follow any responses to this entry through the RSS 2.0 feed. You can leave a response, or trackback from your own site. This scene reminds me of nothing so much as the promotional shot for the movie Eat, Pray, Love, where the Western women who are the main characters are riding on elephants with their parasols. 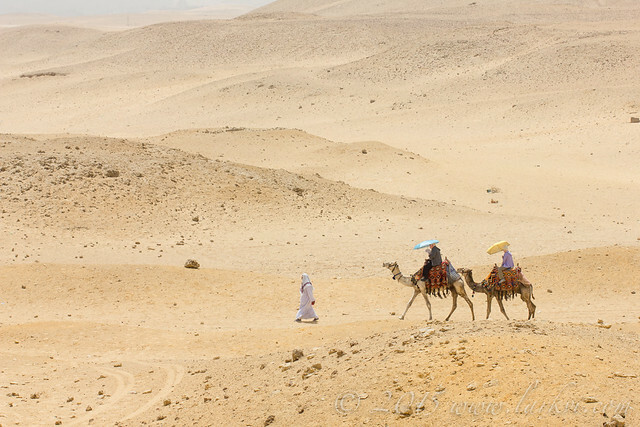 These camel-riders were doing the circuit around the Pyramids of Giza.